Manet, Edouard, 1832-83, French painter, b. Paris. The son of a magistate, Manet went to sea rather than study law. On his return to Paris in 1850 he studied art with the French academic painter Thomas Couture. Manet was influenced by Vel?zquez and Goya and later by Japanese painters and printmakers and the objectivity of photography. 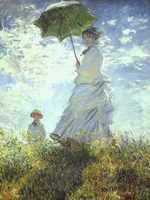 Manet profoundly influenced the impressionist painters (see impressionism). He is sometimes called an impressionist himself, although he declined to exhibit his work with the group, and except for a short time he did not employ impressionism's typical broken color or sketchy brushstrokes. 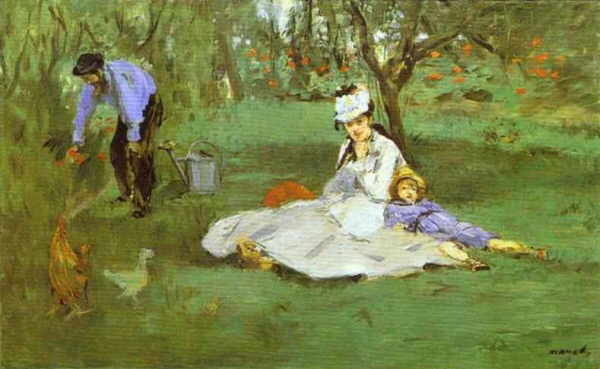 Rather Manet worked in broad, flat areas, using almost no transitional tones, to show what the eye takes in at a glance. By 1900 his techniques and their results were widely understood and appreciated, and his works were hung in the Louvre.